Imagine being able to shoot video in almost total darkness and not wind up with a noisy, undifferentiated mess? That capability may be closer than you think with the announcement of Canon’s ME20F-SH, a full-frame multi-purpose camera that promises a maximum ISO of over 4,000,000. This camera is designed to see what you cannot. According to Canon, the ME20F-SH can capture color video in extreme low-light, and even focus on subjects that the photographer cannot readily see. Canon cites a number of specific purposes for this model: Nighttime surveillance and security, cinema production, reality TV, nature and wildlife video and lord only knows what else. How is this possible? It’s all in the pixels, or rather pixel size — which is some 5.5 times larger than the pixels found in current high-quality cameras. Further, the ME20F-SH camera includes Canon Log and Wide DR, which facilitates a wide dynamic range to achieve high-quality video results across a range of lighting conditions — from low to bright. The ME20F-SH is designed to play well with others. Canon’s entire collection of EF lenses are compatible with this model. Plus, the camera’s simple and versatile design allows it to easily fit into existing shooting systems. The camera has 3G/HD-SDI and HDMI output terminals. You will need them because the ME20F-SH doesn’t record internally and doesn’t have an onboard monitor for changing settings. 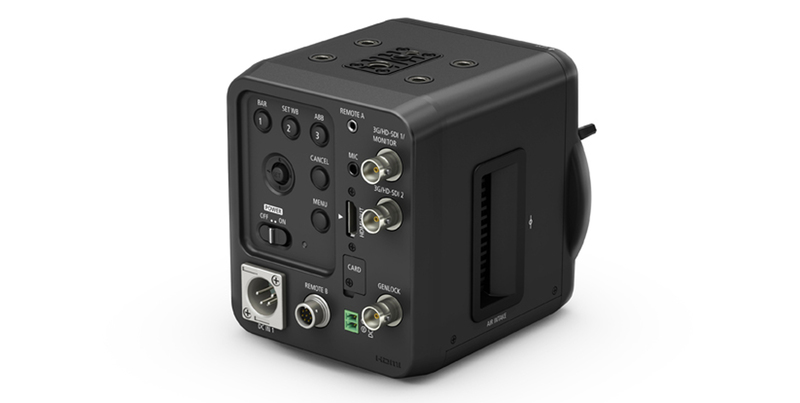 Thus, you’ll have to wire the cam with an external recorder through HDMI or HD-SDI for image capture. Employing output-only 3G/HD-SDI and HDMI terminals, Canon’s ME20F-SH camera enables users working on location to output video via a single cable to a variety of peripheral equipment, including external recorders and monitors. By allowing users to operate the camera or change settings from a remote location, the camera facilitates video capture from inaccessible locations as well as fixed-point surveillance. Furthermore, a φ3.5mm stereo mini-jack allows the camera to connect with an external microphone, enabling users working on location to output audio and video signals to connected peripheral equipment. This camera is new, but the concept behind it is not: the unit’s 35mm full-frame CMOS sensor was first announced in 2013. The video below shows what the sensor captured at that time. The new model has an enhanced version of the sensor. How much will this thing set you back when it ships in December? Are you sitting? 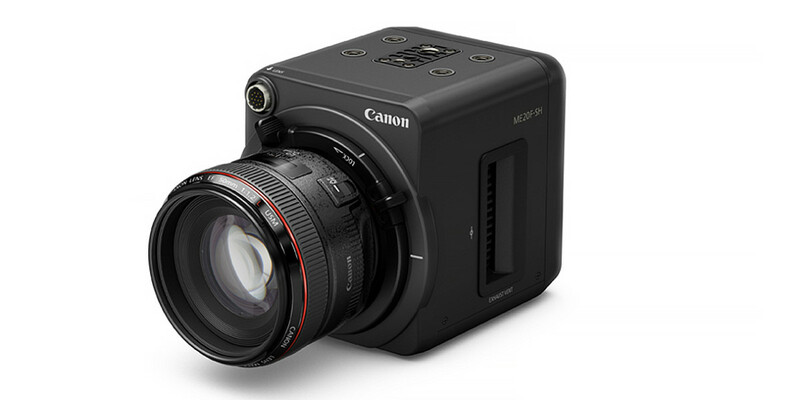 The Canon ME20F-SH will cost a head-spinning $30,000. Start counting those pennies.